In addition to pumpkin pickin and hay rides, there are lots of other ways to get into the Halloween spirit around Pittsburgh this week. 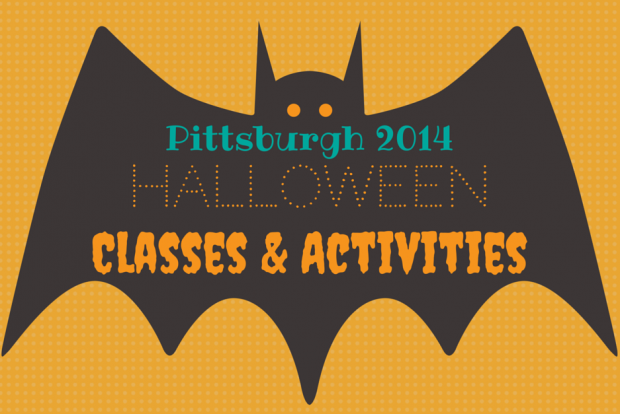 While the Pittsburgh Glass Center’s blown glass pumpkin workshop has already sold out, there is still plenty of space left in the other workshops. I know the glass workshops are popular and we’re already working on a post about ornament workshops for the holiday season. 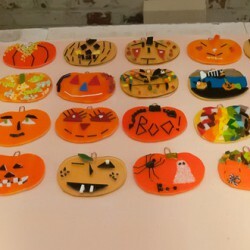 Design and create your own Halloween mask in the children’s area. Come to the library to do crazy science with your friends. This month’s experiment – Halloween goo. Is it a liquid? Is it a solid? Does it bounce? Come find out! All are welcome, but this program is especially recommended for ages 7-11. Stop in to make a spooky craft and get a treat.